Photo: Winter in the village of Cheddar in Somerset. 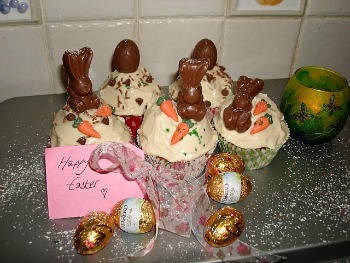 Recipe Of The Month: "Easter Cupcakes"
With March comes the promise of spring and possible sunshine. Here in Devon the gardens are growing more colourful with each day. Easter brings winter weary travellers on holiday hoping to recharge in the warm hug of spring. This March has been one for the record books as Britain is having a terrible month weather wise. As I write the sun is warming my face as snow falls! It has been utterly bitter the last few days but Devon, luckily, is warmer than up North. March is also a great time to have a little spring cleaning or organise a room and remove all the items that you just don’t love anymore, pass those on to charity, or sell them, to make way for your new treasures. England has to be one of the best places in the world to go shopping for antiques, collectables or bric-a-brac and if you’ve never been, or it’s been a while since you went to an antique shop, I hope this issue will inspire you to venture out and search for your own treasures for your home and try a little antiquing in England. There’s something special about cottages decorated with both old and new things. Combined they show the journey the owner of the room has been on. Antiques can be satisfying to own, you look at them and they remind you of fond travel moments, instantly transporting you to the place of purchase. They will also leave you always wondering who owned them before and you can let your imagination tell the tale. I personally love exploring inside the antique shops themselves; the buildings are normally old and shopping allows a special peek inside an old home which really adds to the experience, something that you cannot find in many other places. Antiquing in England is a lot of fun, if you are unsure of what to buy start small and just look for things you love, if it happens to be a rare treasure, it’s an extra bonus! Each antiquing trip will teach you something so have fun with it. …Let your cottage tell its story but add your own personality with the decoration and furniture. Another type of antiquing you may want to try is to look for are ‘antiques of the future’ …You need to find artisans who are creating beautiful works of art that can be collected for an investment in your future. To find these artisans read local newspapers and antique magazines, such as “Homes and Antiques” in the U.K for the scoop. You can find antiques at antique shops all around England you can also find great shopping locally with estate sales, fairs, craft shows and all types of events that may have antique stalls. Read the local paper to get ideas, inspiration and listings of antique shows and fairs. 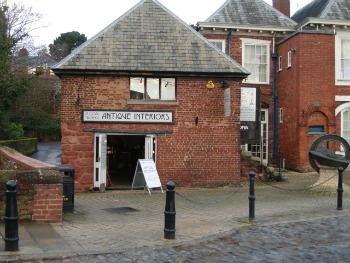 It’s National Antiques week 20th to 28th April 2013 so it’s the perfect time to get inspired and go on your own antique trail. Photo: Antique shop on the waterfront in Exeter, Devon. You may have noticed that I have added a new page to ECL-Holiday cottage special offers-here you can now find discounts on holiday cottages in the UK, and an extra section with featured destinations in England, all year round. Famous all over the world for its Cheddar cheese, underground caverns and the Cheddar Man. The village of Cheddar in Somerset is home to Britain’s biggest gorge, it is a renowned beauty spot and National nature reserve. 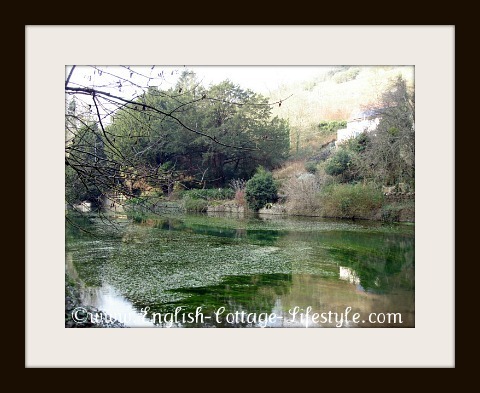 The village can be packed in summer, but if you want to see the caves why not go off season? It’s warmer in the caverns than outside if the winds blowing… (it was freezing and windy when I went; it was snowing on the Mendip Hills)…There will be less tourists in the cave’s than in the summer. Chocolate toppings can be home-made or add your favourite sweets. Makes 5 cupcakes with lots of icing! Pre heat you oven to 350 degrees F/180 degrees C (160 in a fan assisted oven) and then put 5 paper baking cups into a muffin pan. Put all the ingredients for the cream cheese frosting in a bowl and beat with a wooden spoon until its smooth and creamy. Taste the icing while adding the lemon juice to get it just right for you. Put in the fridge and allow to chill for a least an hour. This is quite a lot of icing it will keep for 2 days in the fridge if you have any left over. Using natural icing sugar will give you a lovely warm tone to the icing. Put all the ingredients into a bowl and beat with a wooden spoon (or use a hand held electric mixer) until pale and creamy. Put the mix into the 5 paper baking cups and put the muffin pan into the pre heated oven. Cook for about 15-20 minutes and keep an eye on them you don’t want to over cook them. Test by sticking a tooth pick in the centre, if it pulls out clean your cup cakes are ready. When ready remove from the oven and transfer individual cupcakes onto a cooling rack. Allow to cool before icing them. After the cupcakes a have cooled add the frosting, as much or as little as you want, and decorate your cupcakes with an Easter theme. Go to your favourite baking store or chocolate shop for inspiration.